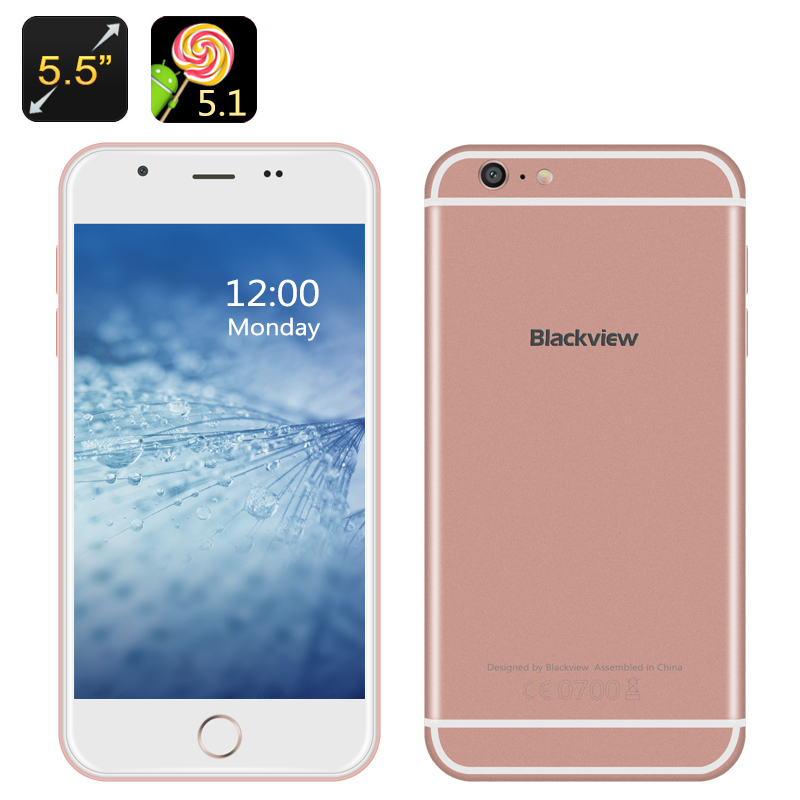 Successfully Added Blackview Android 5.1 Smartphone - 4G, 5.5 Inch 720p Display, Quad Core CPU, 2GB RAM, Gesture Sensing (RoseGold) to your Shopping Cart. 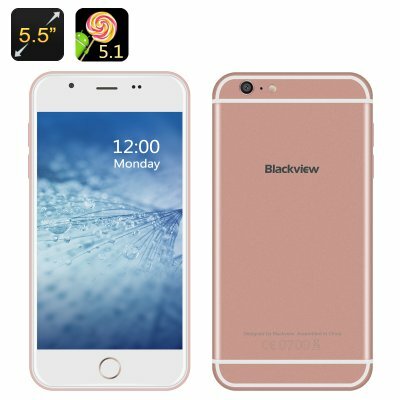 For those that love the look of the Apple flagship phone but would rather have an Android OS and save some money the latest phone from Blackview offers a smart choice. This affordable Smartphone is an attractive looking device which is no surprise given the source of its inspiration was the flagship Apple phone. The 2.5D arc screen looks superb and the case has a metallic look to it that really adds to the phones elegant styling. With a 5.5 inch screen that displays in 720p you can enjoy HD movies and get a great visual treat from the Blackview phone as it has a bright display with good color depth so films and games will be shown in superb quality. Powered by a Quad Core MTK CPU along with 2GB of RAM means you’re guaranteed a reliable performance that will meet everyone’s daily Smartphone needs. A Mali GPU makes for a smooth gaming experience handling advanced graphics so you can enjoy plenty of games with a silky smooth performance. This large screen Smartphone has 4G connectivity across major bandwidths and supports B1/B3/B7/B8/B20 frequencies. This will allow for super fast cellular connections and lighting quick download speeds around the globe with coverage supported across much of Europe, Asia, Africa and the Americas. With speeds equivalent or in excess of broadband networks, 4G data connections will let you stream HD movies direct to this phone or make use of cloud storage for fast data backup and retrieval. Android 5.1 brings this Blackview phone a polished user interface with advanced security solutions as well as intuitive controls that are enhanced by Gesture sensing functions. These allow for quick easy access to all your favorite apps and you can use gestures to navigate without the need to even touch this phone. The Blackview Smartphone comes with a 12 months warranty, brought to you by the leader in electronic devices as well as wholesale Android phones.. The 2 SIM card slots and Micro SD slot take up the same space. Side A of the card caddy takes 1 Micro SIM card. Side B takes 1 Nano SIM or 1 Micro SD Card.